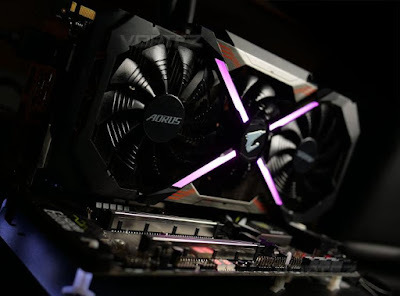 Vortez has published a review of the AORUS GTX 1080 Ti XTREME Edition today. Any time a review uses words like "ferocious" and "astounding" to describe a product, you have my full and undivided attention. Today we’ll be exploring the delights of the ferocious GTX 1080 Ti XTREME Edition from AORUS. Just like the GTX 1080 XTREME before it, the Ti version carries a reinvented cooling solution which involves a triple stacked fan arrangement and double copper-base plate engineering. Since we’re dealing with an XTREME edition, we also have factory overclocks applied to the GPU and memory, marking this card out as currently one of the fastest GTX 1080 Ti cards available!